Courtesy of Ross Michael Hatton, Houwzer LLC. 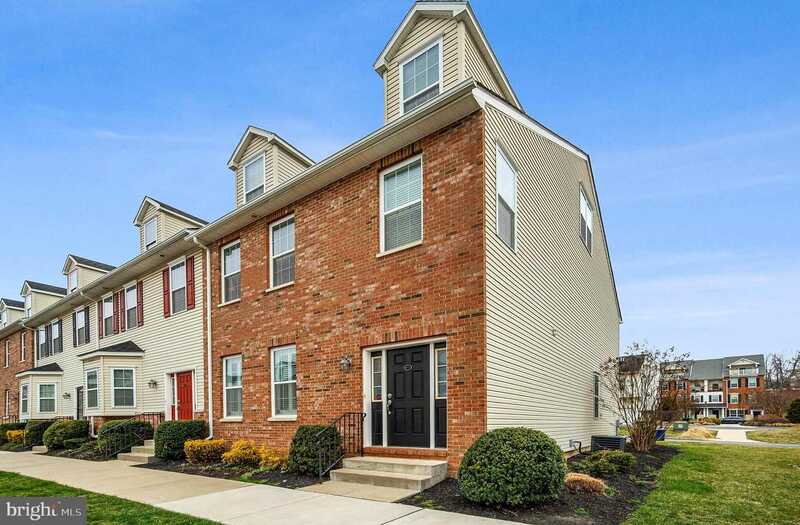 You won’t want to miss this beautiful, like-new and extremely well-maintained, Bainbridge end-unit home located in Hilltop at Falls ridge! This 3-story 3 bed, 3.5 bath condo townhome boasts a quaint, friendly neighborhood and well appointed upgraded finishes throughout. The main floor offers hardwood flooring, plantation shutters, a powder room, an open floor plan, as well as a warm, welcoming feeling. The kitchen features granite countertops, a double sink, 42 inch cabinets, and top of the line stainless steel appliances. The dining area is highlighted with sizeable rear glass sliding doors providing ample natural light. The second story has the double door Master Suite complete with a comfortable sitting room, walk-in closet, and ensuite bath with double sink vanity and a separate tub and shower. On this level, you will also find two additional generously-sized bedrooms, a large shared full bath, and a laundry closet. The third story has a large family room/den with another full bathroom. The Single car garage located in the back of the home ensures you’ll never worry about parking. Over 3 years remaining on the 10 year property tax abatement! Enjoy the benefits of the HOA including snow removal, lawn care, and all outside maintenance. This home is only minutes from many great local bars and restaurants such as the Wissahickon Brewery, In Riva, Le Bus, and many others. Nearby fitness centers, parks, major attractions and destinations such as Fairmount Park, Boathouse Row, Manayunk, and the Art Museum Area. Easy access to City Ave and only 15 minutes drive to center city. Close to Jefferson / Philadelphia University and walking distance to East Falls SEPTA train stop. Also close to Kelly Drive, MLK Drive, and I-76, great for commuters. Don’t wait and make your appointment today!